Steps: Who Are You Trying to Please? I've been reading in Matthew lately, and I was stopped by Jesus repeating something. You see, when Jesus repeats something we need to take note. Not that we don't on everything he says, but you know what I'm getting at ;) So anyway, Matthew 6 has some wonderful points in it. Jesus is talking about giving, fasting, and praying. As he teaches about each of these he encourages us to do them in quiet. Why? I mean, is Jesus telling us it's bad to receive acknowledgement from others? No. He's not. It's okay to receive approval from man. What's not okay is to only want approval from man. To believe that's where our identity and reward lie. To allow that approval to be our motivation in doing what God has called us to do. None of that is okay. "I tell you the truth, that is the only reward they will ever get..."
"And your Father, who sees everything, will reward you." Friends, if we have a choice between receiving the accolades of man verses the rewards of Christ, why would we ever choose man? 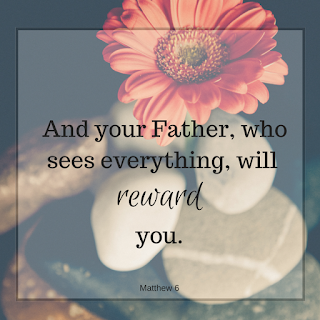 God's rewards far outweigh man's. They are eternal. And they are SO much better than anything man can give, so why would we want to miss them? 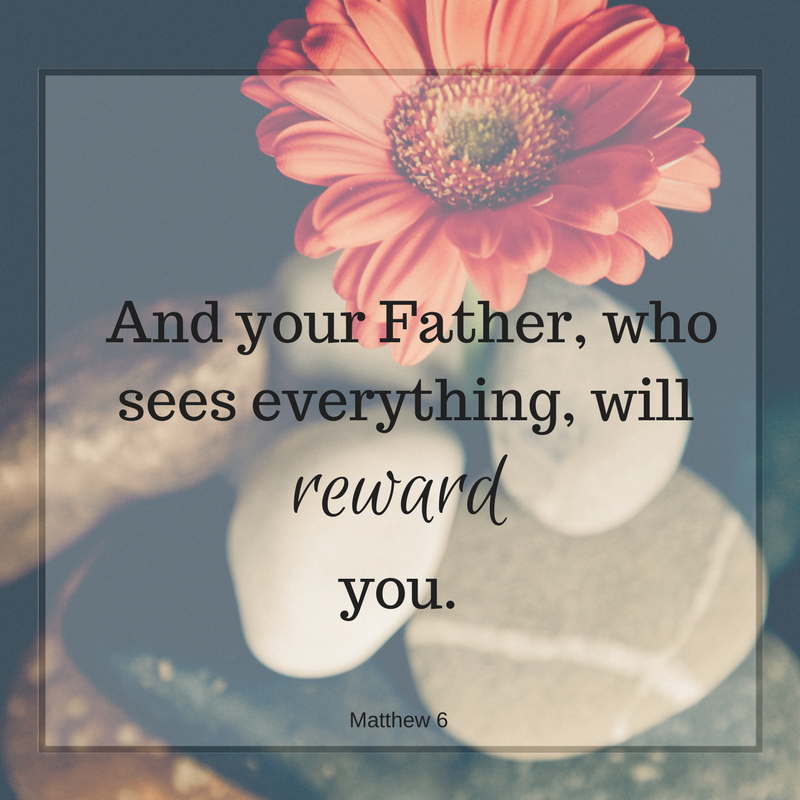 Because, take note, while Jesus isn't saying we will miss out on the rewards of man when we seek to please only God, he is saying we'll miss out on the rewards of God when all we seek is to please man. So today when you embark on what God has called you to, fix your eyes on him and only him. Trust me, you don't want to miss what he has for you!